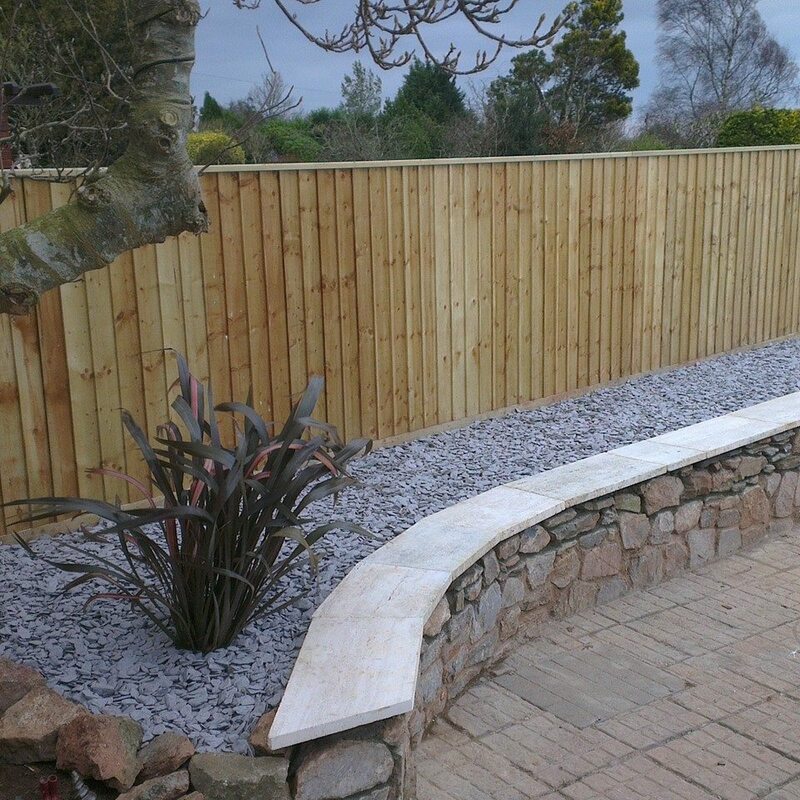 Feather edge boards represent a popular fence option because of their versatility, strength and pleasing appearance. 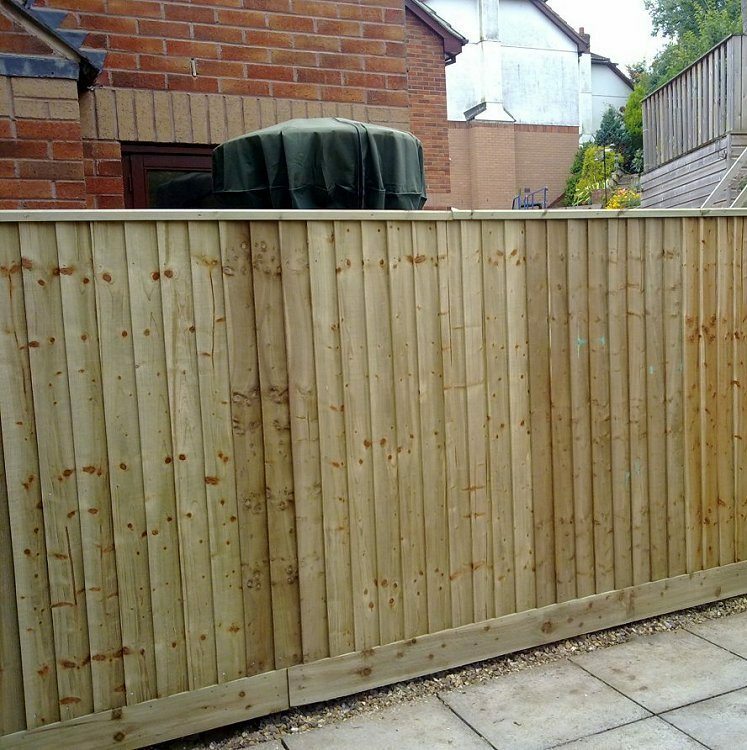 Featheredge fences are constructed by nailing overlapping individual boards vertically onto horizontal rails spanning a line of posts. 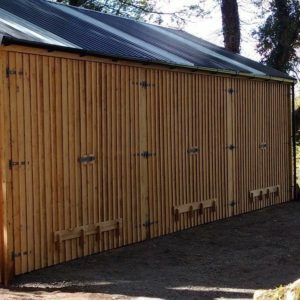 Costs slightly more than traditional lap panels and ready made featheredge panels. On the plus side they are generally stronger, longer lasting and more flexible than ready assembled panel products. Each featheredge board is sawn from 22mm planks to provide a taper across their width typically from 14mm at the thicker edge down to about 5mm. The boards are usually 125mm or 150mm wide and pressure treated with green Tanalith E preservative. 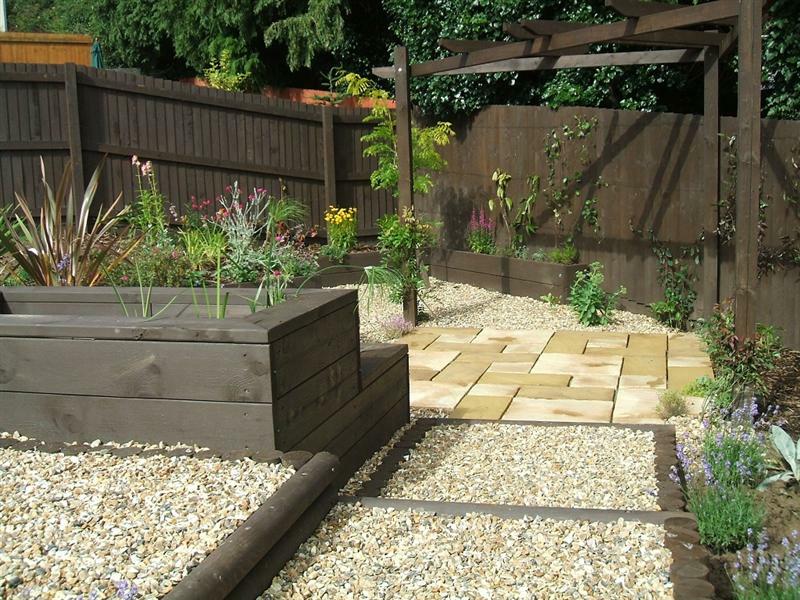 Featheredge boards are supplied as unspecified softwood, they could be spruce, douglas fir or larch. Colours can therefore vary from pack to pack, even sometimes within packs but this generally tones down considerably after a few weeks. There may be traces of green on featheredge fence slats, this is quite normal and normally occurs where knots or sap in the timber have a small residue of preservative. 150mm boards at usually stocked at 1.65 metres, 1.8 metres, 2.4 metres, 3.0 and 3.6 metres. With a 25mm lap you will need 8 boards per linear metre run of fence. 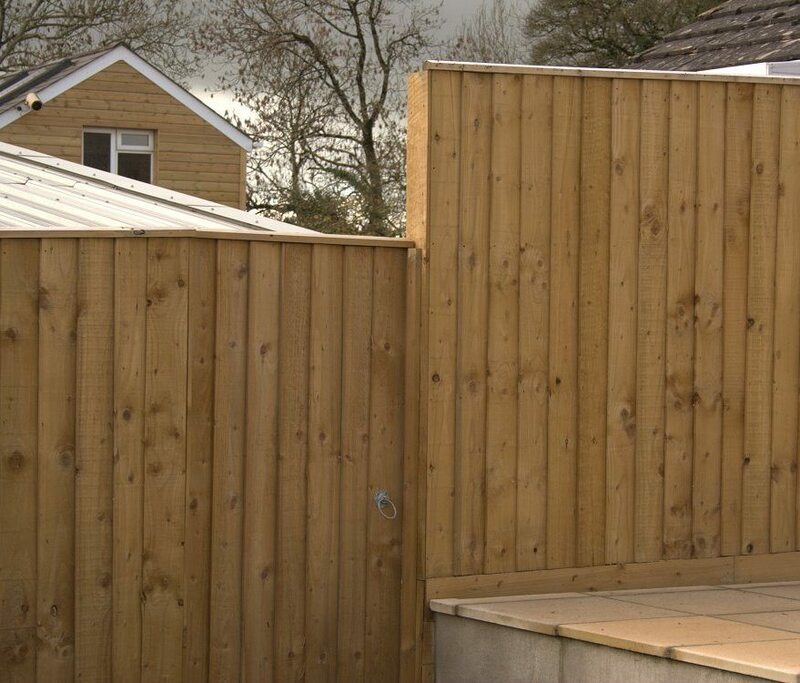 Longer lengths of featheredge are generally used in cladding applications but may be cut to size by the customer where unusual heights of board are required. We also stock a thicker 2ex. 32mm featheredge at 175mm widths and 4.8 metres in length for cladding larger buildings. All cut lengths of featheredge must be treated with Ensele preservative. Because of the variety of fence rail lengths, post heights and featheredge it is possible to customise the fence dimensions to deal with variations in post spacing, ground height and fence alignment in a typical fence installation. Where possible use a horizontal gravel board at the bottom of the featheredge boards. It will help to protect against mower & strimmer damage, soil creep and particularly reduce the tendency of vertical featheredge boards to draw moisture up through the cut ends of the board. 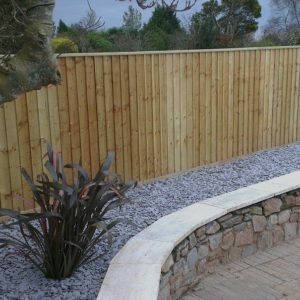 Rebated, or flat-bottomed, capping on the top of the fence also helps against moisture ingress on the top edge of the board and provides an attractive straight line across the top edge. 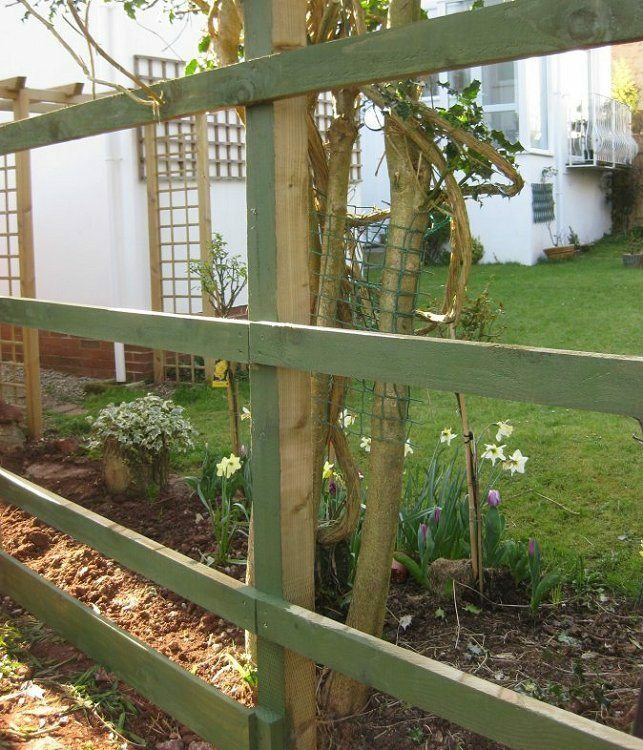 Featheredge fences can be double-skinned allowing both neighbours to view the best side. Associated products for featheredge fences and available from Southern Timber include: bitumen post savers; brackets; concrete posts shoes for 75mm, 100m and 150mm timber posts; Ensele end preservative; fence capping; fencing rails; finials; gravel boards; smooth planed posts; Postcrete; post caps; post spikes for 75mm & 100mm posts; repair spurs; standard sawn posts; 15 Year warranty posts.